LOL!!! 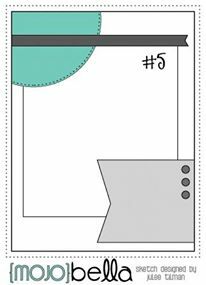 I love this fun chick from Stamping Bella and it's just perfect for this week's Bellarific Friday challenge which was a 1,2, 3 challenge. 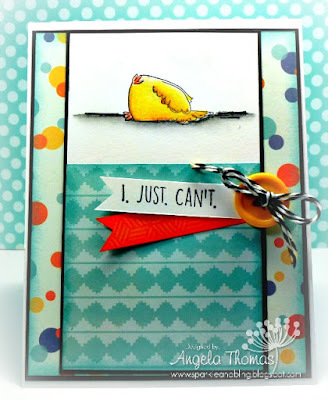 For my card, I have used one of the images and sentiments from the set called "The chicks who couldn't even". The chicks in this set make me giggle every time I see them and for me, I've needed that this week. The layout for my card is the current Retro Sketch. Next week's challenge is another sketch. Check it out. Make sure you head on over to the Bella Blog!!! We've been sneak peeking the new sets all week and you have a chance to win!! !